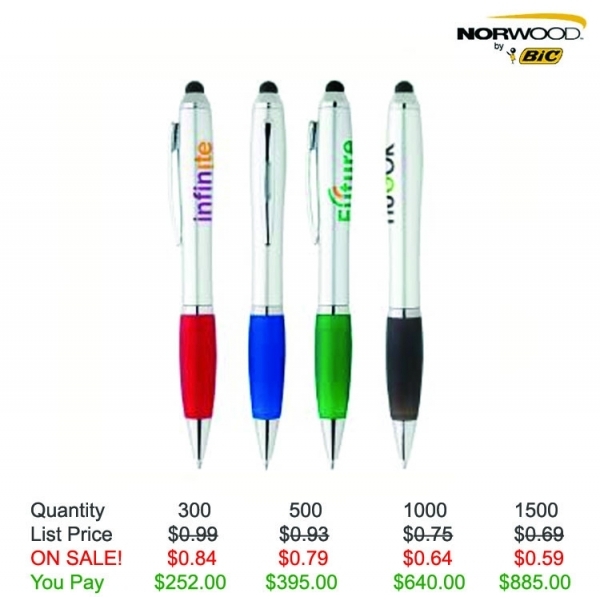 Silver Stylus Pen | Personalized Custom Logo Pens | NeedPens.com . 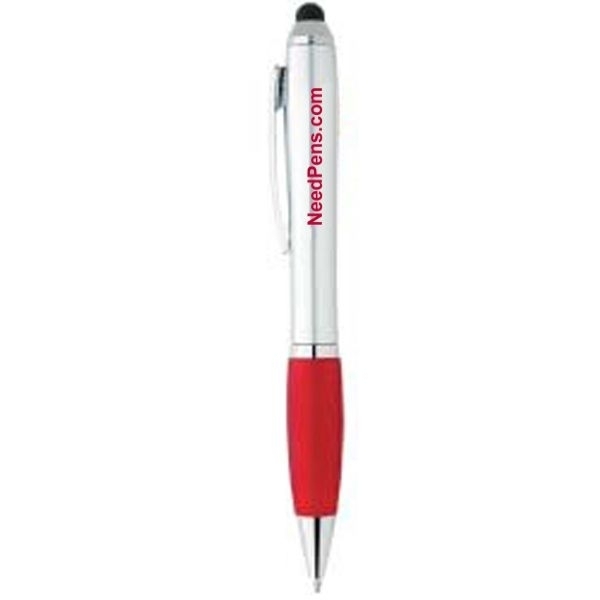 You'll never be out of "touch" with the silver stylus pen in your campaign! 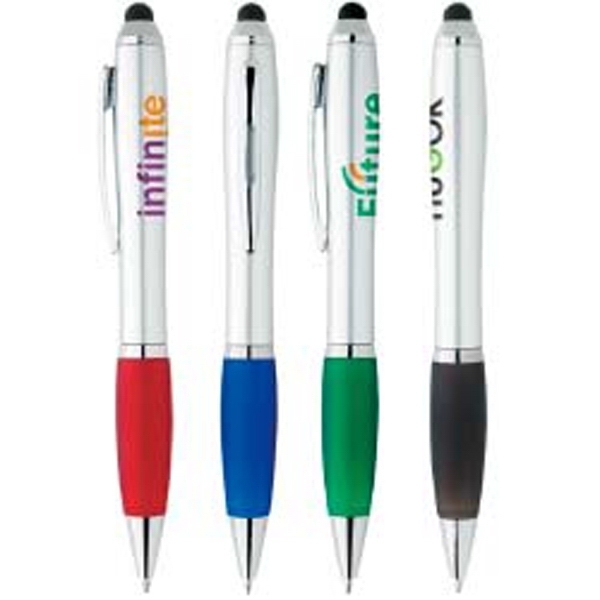 Featuring a stylus tip and colored grip, this silver stylus pen has a twist-action mechanism and black ink with a medium point. Measuring 5 1/4" L x 5/8" diameter, this giveaway reaches clients and prospects when they're jotting a note about your products or placing an order on their touchscreen devices. 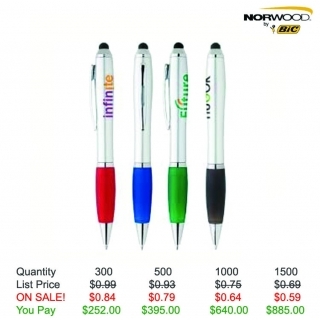 Have your logo or message imprinted on yours today! Item Size: 5-1/4"l x 5/8"dia. Shipping Weight: 9 lbs. per 300 - FREE Shipping! Nice product!! Writes smoothly and works great on smart phones. Thank you for keeping me up-to-date on my order.